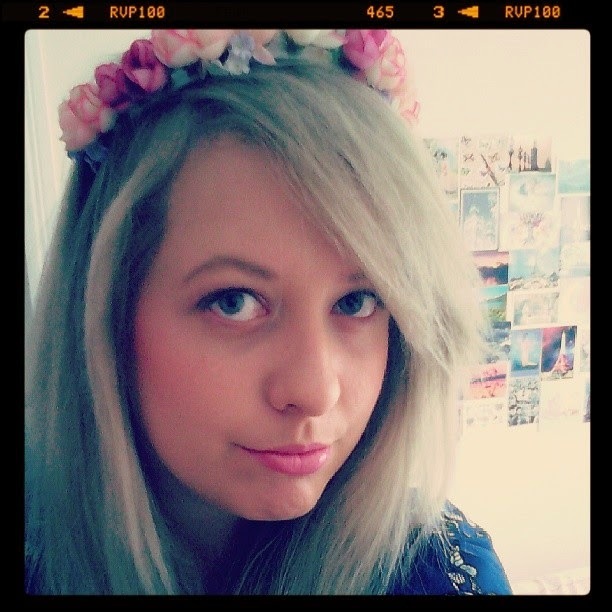 My floral crown headband. My love has been rekindled for this little beauty but I am still plucking up the courage to wear it during the day, I don't like drawing too much attention to myself but isn't it pretty?! Soooo pretty! The Redken Pillow Proof Range. These little beauties have my hair looking beautiful and make it so easy and fast to dry as well as keeping it looking fresh for longer. I love and highly recommend these! Review coming very soon. Wet N Wild 'I Need A Refresh-Mint' nail polish. Now that spring has arrived I can start painting my nails again in some gorgeous, bright colours. This is one of my absolute favourites, it's such a striking colour. You can read my review here. New picture frames. I got two of these hanging heart shaped frames for my birthday and have only managed to get one up in my sitting room. I filled them with my spring photography of my baby boy. I love the shabby chic charm of these frames, this one is such a lovely addition to the sitting room, the other will go above my bed. LUSH products. This is my current stash and I really do think I need to get a bigger jar! Next up to use is Tisty Toasty. I cheek these gems in my bathroom as the smell off them all is divine and they're really quite pretty to look at. My Joules scarf. These scarf is beautiful, I love everything about it. It's long and drapes perfectly, the floral pattern is perfect for spring and summer and I love how bright it is. It's the perfect accessory to any outfit. Love the scarf and photoframe! Oh the picture frames and scarf are so gorgeous! You're ready for a music festival with your floral crown! The nail polish is great. I love mint/ ice nail polish. Love the nailpolish! *_* Perfect for spring!